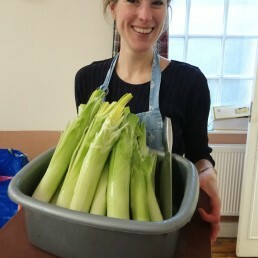 November has seen us tip the 900kg mark of produce saved from the bin! 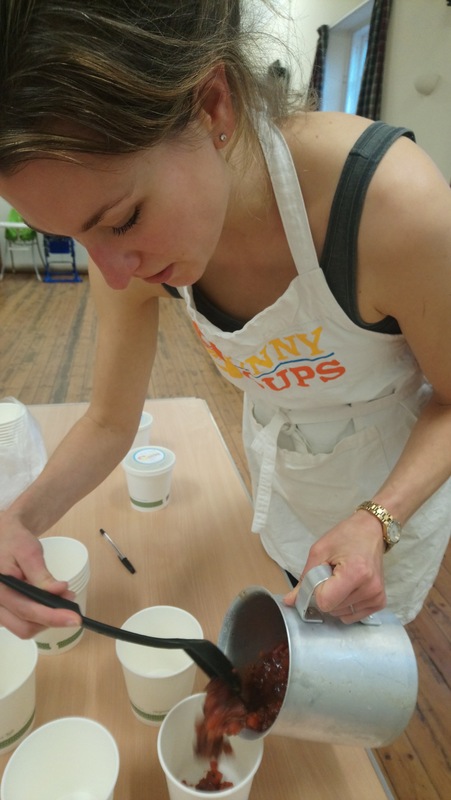 We’re so grateful to our volunteers for turning up so reliably and making the sessions so enjoyable. 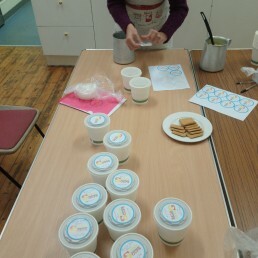 We’ve welcomed two new volunteers to the group – Ricky and Steve – and they’ve earned their weight in soup already. 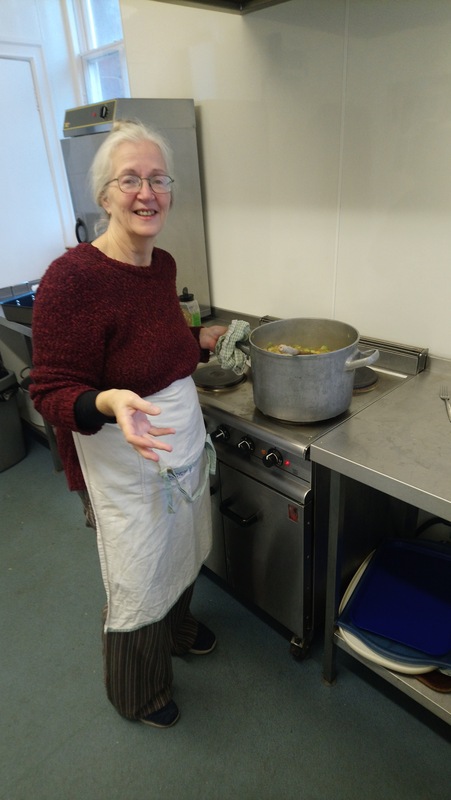 This month saw the freezer filled to its maximum with soup: leek & potato; spiced veg; roast tomato & carrot and ginger-spiked, as well as stewed apple & mango. 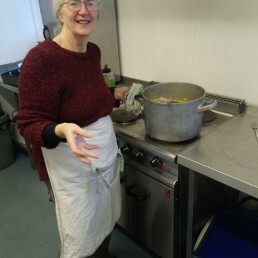 We’ve put over 66kgs of free food into the freezer in November, and in addition have stocked up our charity café with prepped veg and Vegware pots so they can add soup over December, when we will be taking a break from our weekly soup-making. 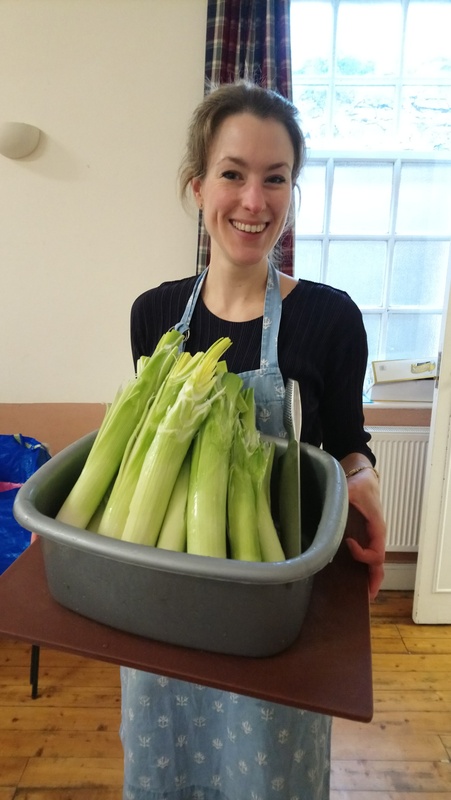 The last session was full of Christmas tunes and mince pies, and we’re looking forward to getting back together in 2019 to work our way up to rescuing 1 tonne of fruit and veg for the Dunbar community! 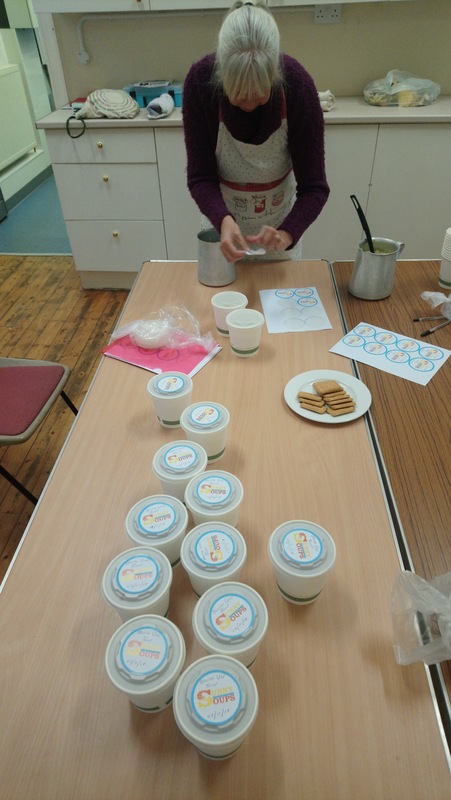 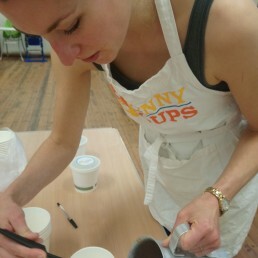 Vegware started the Vegware Community Fund to support sustainability in its widest sense, including the built and natural environment, and community projects, by offering monthly grants or a regular donation of Vegware’s eco packaging.